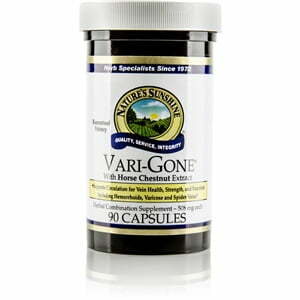 The Nature’s Sunshine Vari-Gone® formula blends herbs and nutrients that provide vein support. The included herbs improve the appearance of veins, strengthen and nourish them, and support blood flow to the heart and legs. 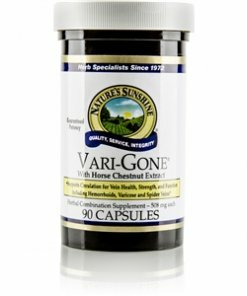 When used consistently, Vari-Gone can help minimize varicose and spider veins. Instructions: Take one or two capsules twice daily with a meal.